Uses a modified Browning type action with special patented recoil reduction system. Built to take powerful +P and +P+ loads. 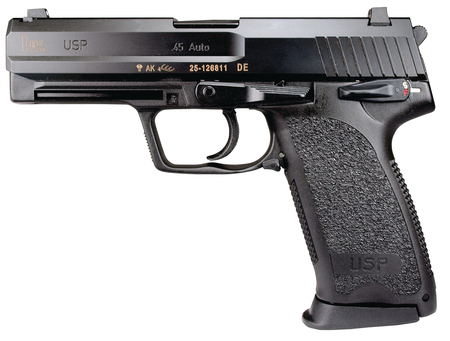 Recoil reduction system reduces recoil effects on pistol components and lowers recoil forces felt by shooter. Features polymer frame and integral grips, 3-dot sights, extra large trigger guard, extended slide release and ambidextrous magazine release.